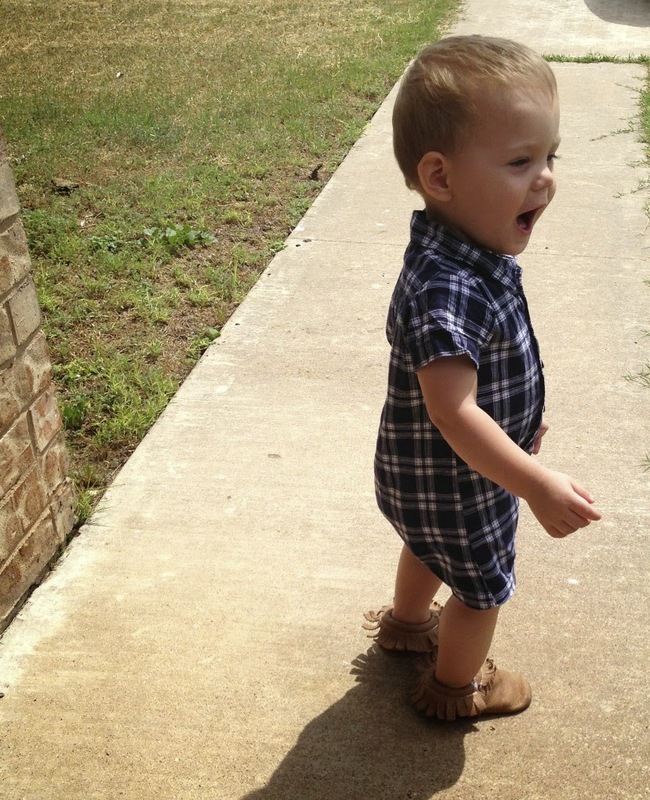 About a month ago, I got Milo his first pair of baby moccasins from Freshly Picked. I chose light brown because they would match everything, and got them in a size up because I wanted them to last a long time! When I got them in the mail, I seriously couldn't wait to see him run around in them. That entire day, he absolutely refused to let me take them off, and whenever he sees them, he brings them to me to make me put them on. This boy knows his fashion :). They are super easy to get on, which is a must for Milo! They are way more durable than I anticipated. 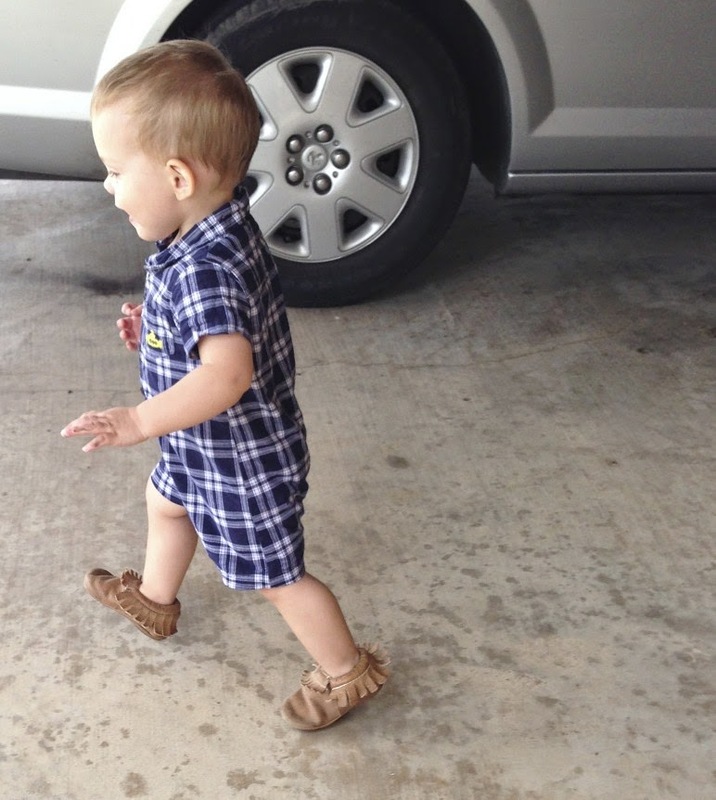 Milo is rough on his clothes and shoes, and they have held together perfectly. They don't get smelly, even with little bare feet in them all day. They stay on really well, another must! And the obvious given: They are so. dang. cute. I get so many compliments on his shoes every time he wears them. So heres the exciting part. In honor of Milo's favorite shoes, we're doing a giveaway of a pair of Freshly Picked Baby Moccasins in the color and size of your choice! Bonus entry: blog this giveaway and comment on here that you did. Good Luck and happy baby feet to you!!! For my son or daughter! I think you know who I would choose...Ellie!! I would want them for little Bryce's walking feet! Sadie sue. :) Those are adorable! I would seriously die!!! They would be for my little Hudson! For my sweet little Ruby!! !